The cryptocurrency market hasn’t gained momentum despite several underlying developments in the last two months. Bitcoin and the rest of the virtual currencies lost the majority of gains that they achieved at the beginning of the month, pulling out almost $90 billion from the total cryptocurrency market capitalization in the last two weeks. Although the New York consensus conference couldn’t help bulls create a substantial rally, St. Louis Federal Reserve President James Bullard’s remarks have raised several questions over the future of cryptocurrency markets. The cryptocurrency market pulled back sharply after the FRP president’s remarks. Bitcoin price hit a three week low on Wednesday while altcoins also posted major losses in the last two straight days. Bitcoin Cash and EOS are among the biggest losers. Why Does the Federal Reserve President Predict a Complete Crash? 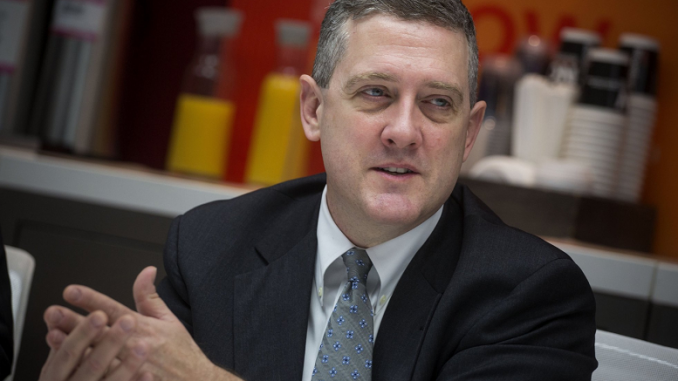 St. Louis Federal Reserve President James Bullard has raised several critical questions on cryptocurrency markets, saying Bitcoin and other virtual currencies aren’t fulfilling the need for the formation of a market-based currency. He says there are more than 1,800 cryptocurrencies and most of them are trading at different prices in different exchanges. This is contrary to stocks and other currencies where investors see uniform pricing. The president indicated that non-uniform currencies like cryptocurrencies have, at least historically, never survived for a long time. He has highlighted strong confidence in the U.S. dollar compared to Bitcoin. He says the dollar is in a better position to meet the needs of the financial system, amid government backing with direct and sensical monetary policy and persistently low inflation. Consensus 2018 Highlights – Don’t Let This News Pass You By!